Have you seen the stunning building that has emerged just next to the Civic Centre Gardens? 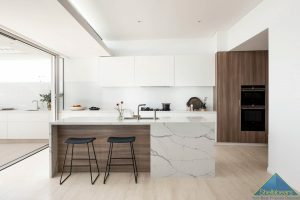 This beautiful bespoke residence will set the trend for the next 30 years, with its sleek minimalist lines and sensitive use of stone, marble and glass. 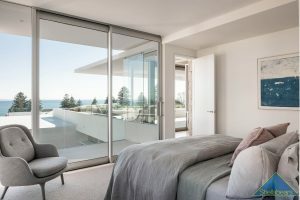 We have held the best for last to give everyone the chance to marvel at this magnificent way of living, now available for the first time in Cottesloe. 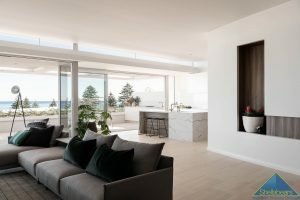 This type of property is just not possible without the hard work of our awarded Builder of the Year Adrian Zorzi and craftsmanship of our Architects Gary and Steeg Banham. 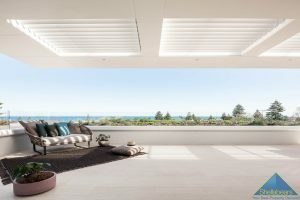 What they have delivered is literally a work of art you can live in! 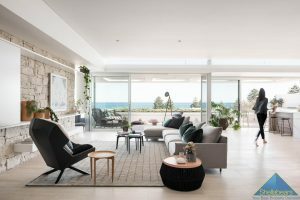 The ocean views are wide and interesting, putting Rottenest in your living room and they can be enjoyed from one of the biggest outdoor terrace areas ever built in Cottesloe. 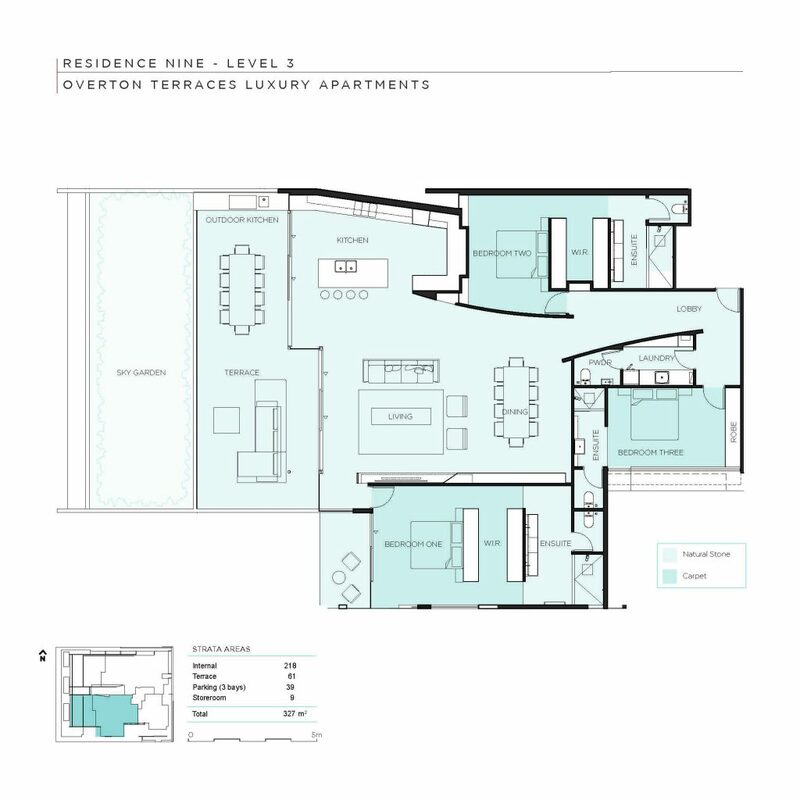 The residence boasts 3 separate bedroom suites, each with breezeways and view corridors, walking through the curving entrance walls reveals the huge living spaces and the views beyond in spectacular fashion. The kitchen is set up for people who enjoy the art of cooking indoors or out with the butler’s pantry set up to perform and a bench running from the kitchen to the outdoor barbecue. There are three car bays and storage for bikes and boards. 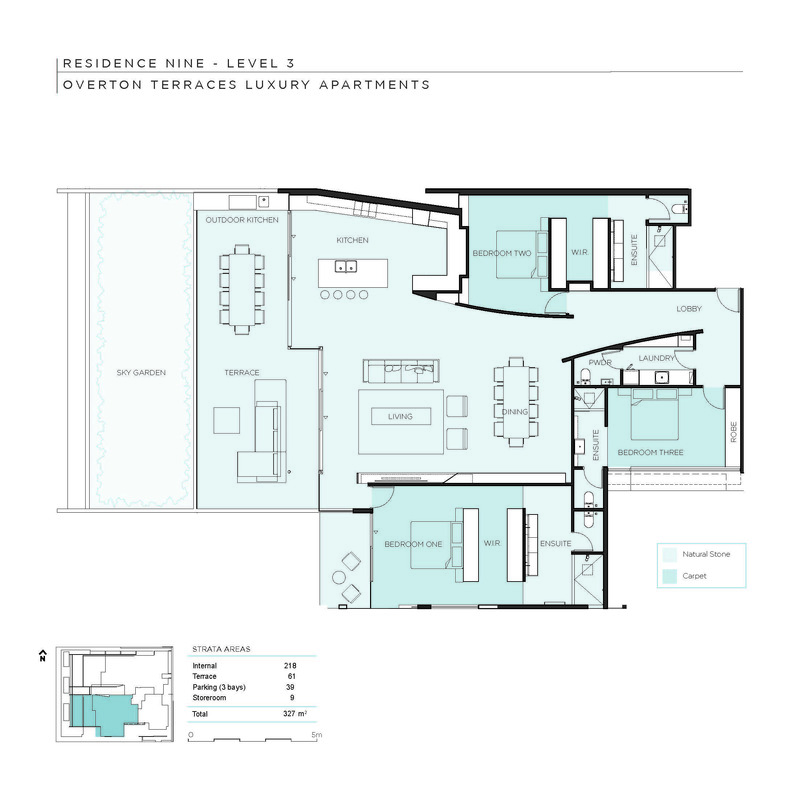 Entertain intimately, or on a grand scale, and this home will transform to suit your mood. 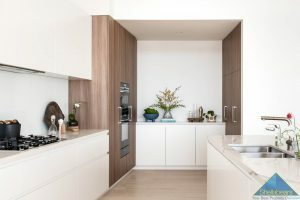 From sunrise to sunset you will be living in a very special place the likes of which you will never find again due to it being a ‘one off’ project for a Private Client, which has driven the attention to detail. For location, it’s hard to beat a cul-de-sac with local traffic only. Elevated above the ocean blue backing onto a park between the tennis club and the golf club. Every day you are motivated to enjoy the outdoors starting with a walk and swim on Cottesloe’s iconic beach, then a coffee and a chat with your friends afterwards. 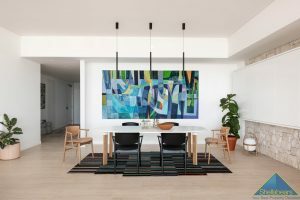 Ending the day with a walk, a light meal just down the street or entertain friends and family in the best living experience in Western Australia. There is nothing that can match this apartment, save yourself an airfare and see the world at Overton Terraces. It will change your life.